One of the reasons it rocks so much is because of the Torsion System Shank, which maintains the boot's flex and makes sure it bends in the most effective locations. It could be the Boost foam midsole, which has better thermo performing properties compared to EVA and is insanely plush. Are used these boots for two or three seasons going about three times each season. The bola system works perfectly. They are in very good condition with some minor signs of wear. I just decided to go with a little larger different style boot next season. Condition is Used. Anatomic landing pad. Shock-absorbing base pad. Lightweight injected magnesium baseplate. Burton Snowboard Jeff Brushie Collectors. Condition is Used. Size 153 Shipped with USPS First Class Package. Forum Shaka w/ Voile Adapter Plates Splitboard Bindings - Medium. Condition is Used. Shipped with USPS. One rip on an ankle strap that is pictured. Still works fine. 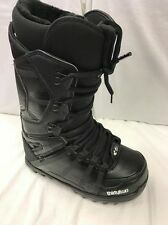 My size 9 Burton Ion boots strapped in nicely so I assume they are medium but I don’t see that specified anywhere. Not an even number of screws. The binding screws are missing half the T-nuts to secure them to the Voile plate. Should be an easy hardware store purchase. Without the T-nuts the binding screws just spin. I’m happy to measure stuff but you might need more Voile hardware. Here is a nice 1995 Mistral Alpine snowboard with Sims bindings. The board has a few scratches on the bottom, nothing more than on the surface. The bindings work good and are complete. All around a cool piece of 90's snowboarding history. 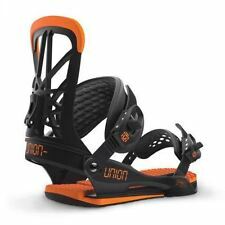 2018 Union Force X Signal Snowboard Bindings . Condition is Used. Shipped with USPS Priority Mail. Burton's flying V women's snowboard. Green and brown Burton Snowboard boots. Used a bit but are in perfect conditions. They are pullup boots, not tie ups. They've been cleaned up and they are still in perfect condition. Whether youre a veteran snowboarder or someone who is brand new to the sport, there are several essential supplies that youll need in addition to a snowboard. Snowboarding supplies and gear are necessary for riding. These products also might help to keep you safe and lower the chance of injury when you crash or wipe out. What types of snowboarding gear is there? 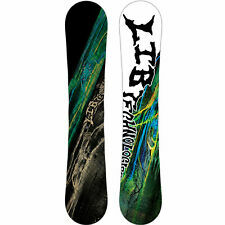 How do you maintain your snowboard? Fix any bumps and scratches on your snowboard. Make sure that you remember to regularly clean your board. Get your board waxed regularly. Get the board sharpened regularly. Always make sure that your bindings are tight. How do you choose boots? The footwear that you choose will need to be the correct size for you, and it must fit in your bindings. You should always make sure that the footwear you choose is sturdy and has sufficient flexibility. 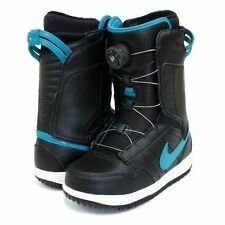 It is essential that you choose boots that are specifically designed for snowboarding. What are some helmet styles? Audio head protection - Equipment with audio can allow you to listen to music without headphones. Plain design - Products with a plain design don't have any noteworthy designs on the exterior. Artistically designed products - Some of these products have an artistic design printed on them prominently. What materials are used to make snowboard helmets? 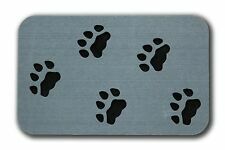 The exterior of the products can be made out of metal or hard plastic. The interior of the products is often a specially designed form of Styrofoam. However, other products have a material called Koroyd inside of them. Koroyd has a tubular core structure and is a lightweight material. The interior of some products contains both Koroyd and Styrofoam. The inner surface is often cloth. How do you choose goggles? It is important to make sure that you choose goggles that fit your helmet. Many vendors offer one-size-fits-all products. Also, you can choose goggles that are designed to filter out UV light. Goggles that filter out UV light are coated with a UV-resistant material.